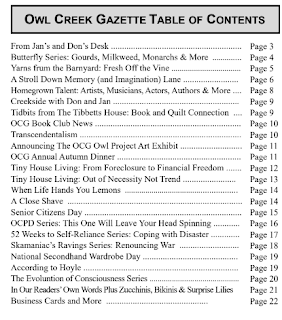 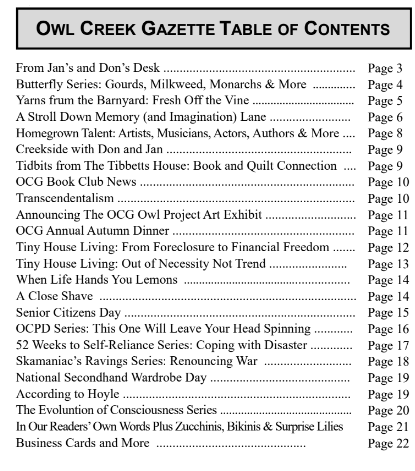 Owl Creek Gazette: We Invite You to Read the August issue of the Owl Creek Gazette Online! 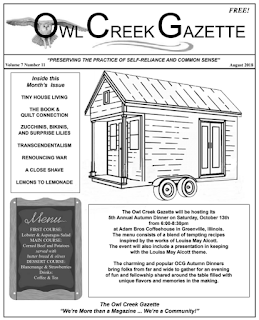 We Invite You to Read the August issue of the Owl Creek Gazette Online! 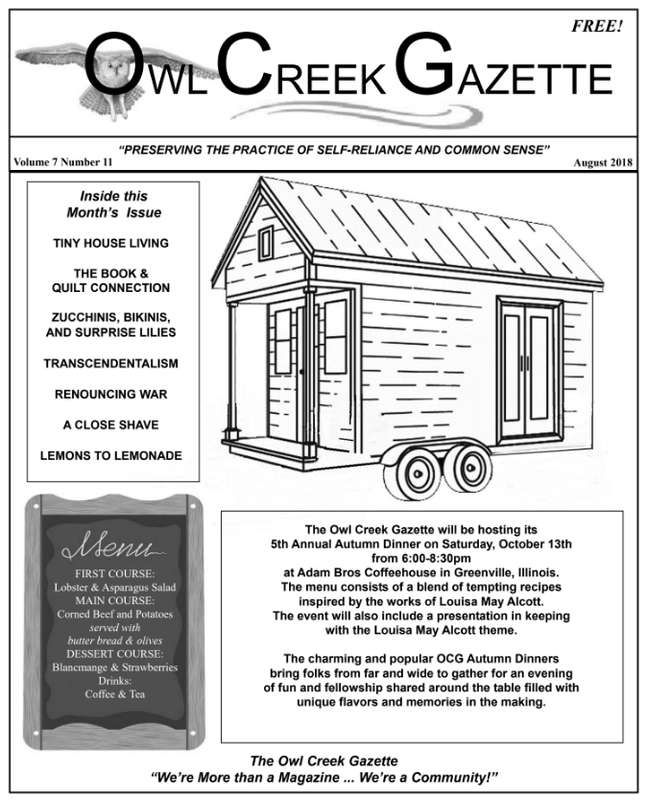 Just click on our CURRENT ISSUE PAGE to read the August issue of the OCG.